Give the gift of celebration with this spirited champagne gift box. It accommodates one standard bottle of bubbly and two champagne flutes (not included). 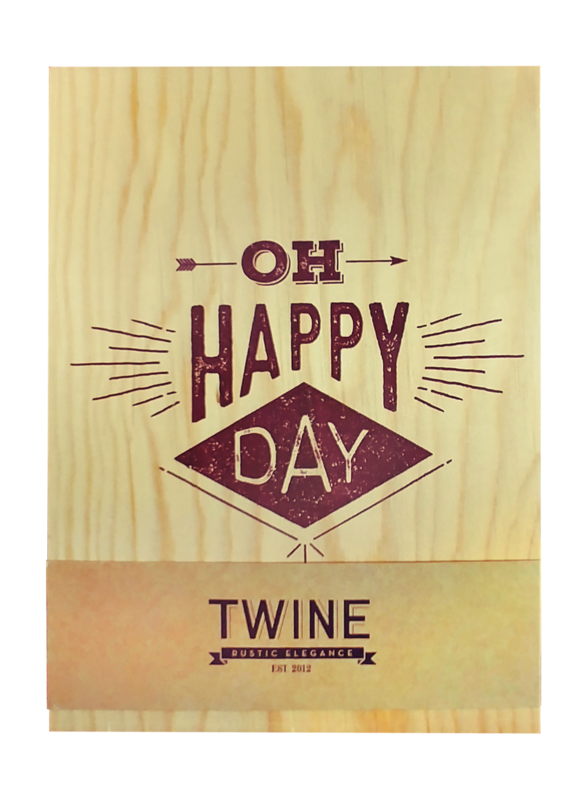 With compartments designed to secure the glassware and plenty of packing straw included, its "Oh Happy Day" and "Congratulations" inscriptions set the tone for a birthday, wedding or any other special occasion—simply pop the cork to start the party. Celebrate new love with vintage wine, the perfect newlywed gift. Crafted from beautiful pine wood, this box has compartments for three special bottles of wine, one for each of their first three anniversaries. This unique and memorable gift is sure to be unlike any other the couple receives, and of course, we’re here to help you pick just the right wines.